Former Burlington Bees infielder Mike Moustakas hoped to get a long-term contract out of his first foray into free agency, but instead ended up re-signing with the Kansas City Royals for the short term on Thursday. The third baseman nicknamed “Moose” reportedly signed a one-year deal worth $5.5 million, with another $2.2 million possible in incentives. The deal reportedly includes a $15 million mutual option for 2019, with a $1 million buyout. 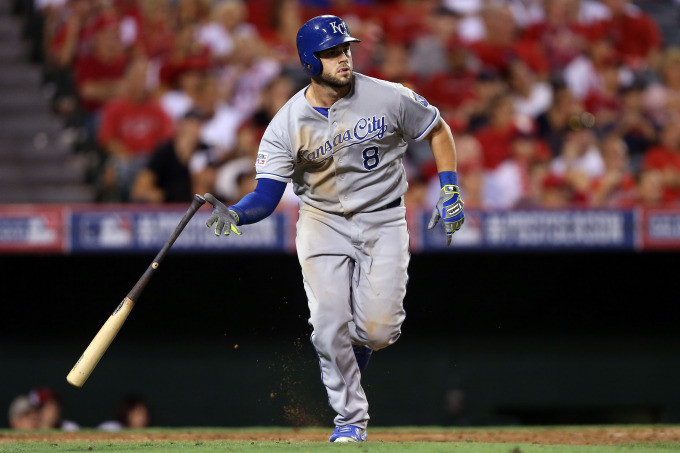 Moustakas, a seven-year MLB veteran, batted .272 with 38 HR and 85 RBI in 148 games with the Royals last year. He played for the Bees in 2008, batting .272 with 22 HR and 71 RBI in 126 games. Burlington won the Midwest League championship that year. Moustakas is a nephew of former Texas Rangers first baseman Tom Robson, who was a Midwest League manager in 1979. He was skipper of a Wausau Timbers team that included four future major-leaguers (none of them notable), as well as current Royals coach Mike Jirschele and Cameron Killebrew, son of Hall-of-Famer Harmon Killebrew. (Cameron Killebrew didn’t advance past High-A.) Jirschele also has Midwest League ties as the manager of the 1993 Rockford Royals (a team that included Johnny Damon, who was named MWL prospect of the year) and the hitting coach of the 1990-91 Appleton Foxes. Tyler Clippard signed a minor-league deal with the Toronto Blue Jays and will compete in spring training for a bullpen job with the big-league team. The right-hander pitched for three MLB teams last year, cumulatively going 2-8 with a 4.77 ERA, five saves, 72 strikeouts and 31 walks in 67 relief appearances (60.1 innings) for the New York Yankees, the Chicago White Sox, and the Houston Astros. He ended the season with the Astros, who did not include him on any of their postseason rosters on their way to winning the World Series. Clippard pitched in the Midwest League in 2004, for the Battle Creek Yankees. He went 10-10 with a 3.44 ERA, 145 strikeouts and 32 walks in 149 innings (26 games/25 starts). This entry was posted in Baseball Hall of Fame, Burlington Bees, Midwest League, Wisconsin Timber Rattlers. Bookmark the permalink.